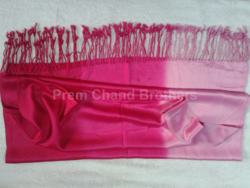 Prem Chand Brothers are leading Manufacturer, Wholesaler, Supplier, Exporter of Ladies Stoles mainly for European Countries like Russia, Germany, France, UK, Italy, Spain etc. We are looking bulk inquiries from all over India. Finishing Type Perfect stitched ends. Packaging Type 10 pieces in a poly. 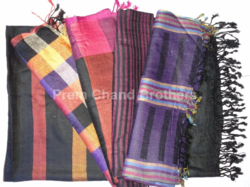 Prem Chand Brothers are leading Manufacturer, Exporter, Traders, Wholesaler and Suppliers of a wide range of towels, Duster Cloth , ladies stoles and scarves. We are mainly looking for Inquiries from European Countries like Russia, Germany, France , UK , Italy , Spain etc. 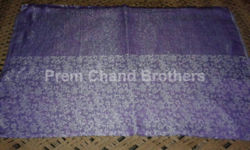 Prem Chand Brothers¿¿are leading¿¿Manufacturer, Wholesaler,¿¿Supplier,¿¿Exporter¿¿of¿¿Ladies Check Viscose Stoles¿¿mainly for European Countries like Russia, Germany, France, UK, Italy, Spain etc. We are looking bulk inquiries from all over¿¿India. 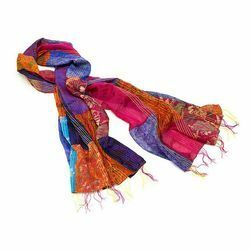 These stoles are made with 100% viscose yarn. 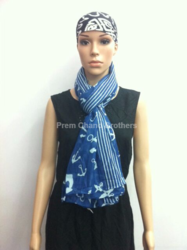 With everlasting softness and shine these stoles are the latest fashion statement. 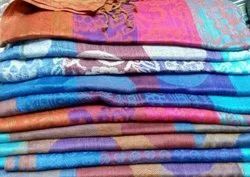 With fast colors, matching designs, patterns, and both side 12 cms fringes done by hand work these stoles are made for all seasons. Standard packing 10 pieces in 1 polybag. Very famous and fast selling product. Standard size 28x 72 inches. 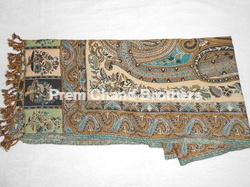 Description - Prem Chand Brothers are a Leading Manufacturer, Exporter, Wholesaler and Supplier of very fine quality 100% Silk Stoles in latest designs. 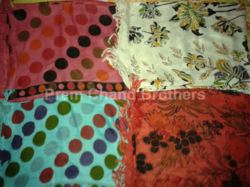 These stoles come instandard size of 22x72 inches. 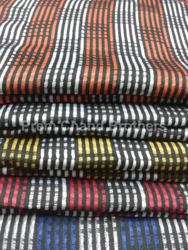 Each and every design is made by our expert fashion designers and come in 5 to 10 colors in every pattern. Standard packing is 50 pieces in 1 poly bag. Already in supply to many europian and american states. Note :- Starting price range 60 Rs. upto 120 Rs. Packing : 10 Pcs / 5 Pcs In 1 Polypack. 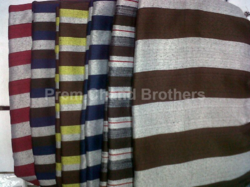 Prem Chand Brothers are leading Manufacturer, Exporter, Traders, Wholesaler and Suppliers of a wide range of Towels, Hankies, Duster Cloth, ladies Stoles and Scarves. We are mainly looking for Inquiries from European Countries like Russia, Germany, France , UK , Italy , Spain etc. 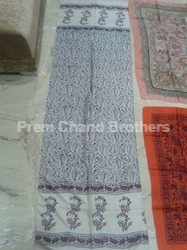 We are manufacturers and suppliers of designer stoles with fancy persian and kashmere art. 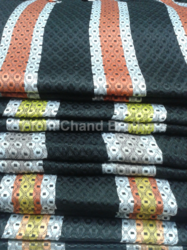 These are made with great precision for thier looks and long durability. The designs are such that they are never out of fashion and are sought after in every part of the world. Standard size is 28x72 inches. 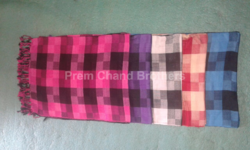 Prem Chand Brothers are Manufacturers, Wholesaler, Exporter and Suppliers of very fine quality 100% viscose stoles in latest designs. 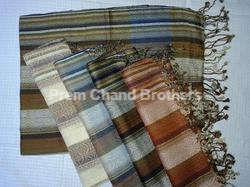 These stoles come in standard size of 28x72 inches. Each and every design is made by our expert fashion designers and come in 5 to 10 colors in every pattern. Standard packing is 10 pieces in 1 poly bag. Already in supply to many europian and american states. ¿¿¿¿¿¿ ITEM CODE SONAM0423¿¿¿¿ Prem Chand Brothers¿¿are a reputed¿¿Exporter, Supplier, Wholesaler, Trader and ¿¿Manufacturer¿¿of superior quality of¿¿Viscose Stole. We are looking export inquiries from UAE, Dubai, Iran, Muscat, Oman, Spain, Greece, Paris, Rome and all over the world. 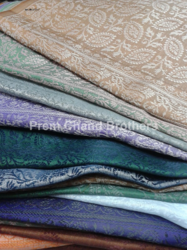 Description - Viscose stoles are known for their being very soft and skin friendliness. 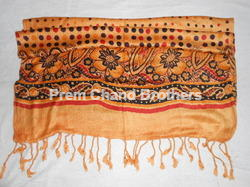 We make these stoles in many designs printed in vibrant colors. 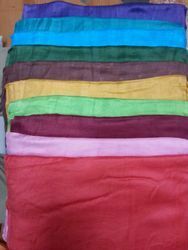 Size- 28x72 inches packing 10 pieces in 1 poly bag. Packaging Details: Good Export Quality Cartons. Individual Packing - Polythene Master Packing Cartons as per customer demand, packaging charges bear to customer.